Eric Katz writes about federal agency operations and management. His deep coverage of Veterans Affairs, Homeland Security, the Environmental Protection Agency and U.S. Postal Service has earned him frequent guest spots on national radio and television news programs. 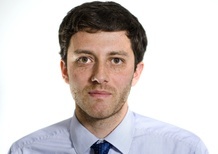 Eric joined Government Executive in the summer of 2012 and previously worked for The Financial Times. He is a graduate of The George Washington University.